Hey, everyone! Heather here! Our resident historian, Jordan, is here today with an awesome blog post about the origins of the jack-o-lantern, that Halloween symbol we all know and love. Enjoy! One of the most iconic symbols of the Halloween season is the jack-o-lantern. Today, we carve jack-o-lanterns out of brightly colored orange pumpkins and display them in our windows, porches, and yards. But that was not always the case. As a matter of fact, the pumpkin is not the first piece of vegetation to be used for a jack-o-lantern. In the late 19th/early 20th centuries, many Europeans immigrated to the United States looking to start a better life. One of the customs they brought with them was the carving of jack-o-lanterns. 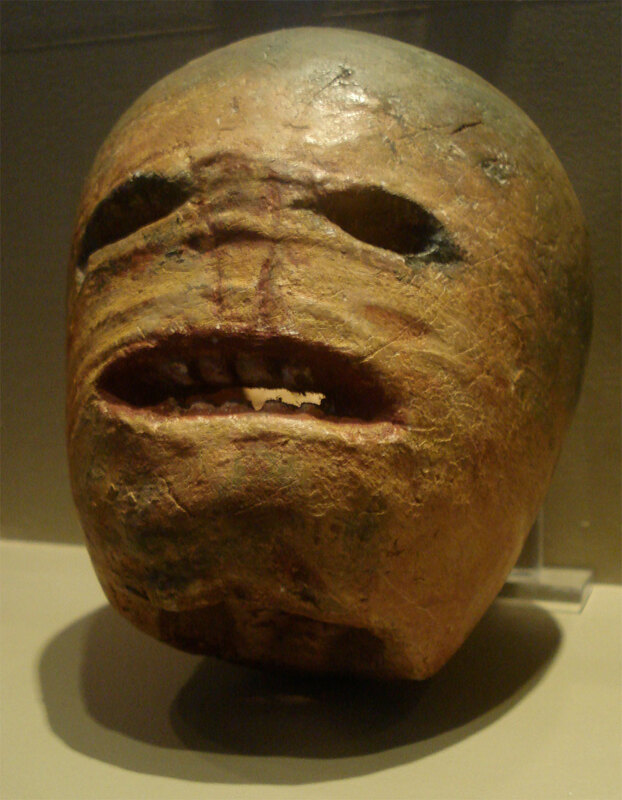 However, in Europe, especially Scotland and Ireland, jack-o-lanterns were more commonly carved out of turnips. Have you guys ever seen a turnip jack-o-lantern? Just look there at the beginning of this post. It’s terrifying. However, when they immigrated to the United States, turnips were not in an immediate supply, so the alternative was the pumpkin. Unbeknownst to everyone at the time, the pumpkin actually made a better jack-o-lantern. It was larger, more colorful, and the most important part, pumpkins didn’t rot as fast as turnips. So a jack-o-lantern made out of a pumpkin could keep longer than a turnip jack-o-lantern. But this doesn’t really answer an important question; Why do we carve faces in pumpkins to make jack-o-lanterns? Well, that is because of an old European folktale. The Tale of Stingy Jack. There are a number of versions of this myth, but they all seem to make the same point. Jack was a drunk, a manipulator, and a deceiver. When it was Jack’s time to die, the Devil greeted him to take his soul. Jack, being a deceiver, begged the Devil to allow him one last drink. The Devil agreed and accompanied him to the pub. 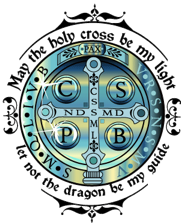 In order for Jack to pay his tab, he convinced the Devil to turn into a sixpence. Instead of paying the tab, Jack put the sixpence in his pocket next to a crucifix so the Devil couldn’t change back. Jack stuck a deal with the Devil to change back in exchange for letting him live another ten years. The Devil agreed. Ten years pass and the Devil comes to claim Jack’s life. Jack, once again being a deceiver, convinced the Devil to climb up a tree to grab him one last apple before death. The Devil agreed and Jack carved a cross on the tree so the Devil could not get down. He was stuck there. This was the second time Jack had bested the Devil. When Jack eventually died, he appeared at the gates of Heaven but was denied entry. He then went to Hell to see if he could gain entry there. The Devil, being duped twice by Jack in the past, denied is entry. When asked where he should go, the Devil replied, “Back from where you came”. But the road for Jack was now much darker than before. Jack pleaded for the Devil to give him something to light the way. The Devil obliged and placed an ember from Hell in a hollowed out turnip. Stingy Jack was was doomed to walk the earth without a resting place forever. So, every Halloween, people would carve faces in turnips, now pumpkins, and put a light in them to help Jack find his way in a world of darkness. This is just one version of many of the myths, but they all seems to have the similar theme of Jack tricking the devil. Today, there are so many people who carve jack-o-lantern that it is a Halloween staple. I know here at the Jordan Ghastly household, we try to have a minimum of 4 for Halloween Night. But the fun of pumpkin carving has exploded in the 20th and 21st centuries. There are now professional pumpkin carvers all over the globe as well as numerous pumpkin carving contest. So remember, this Halloween night, when you get ready to go out to trick-or-treat, don’t forget to light your jack-o-lantern to help Stingy Jack find his way through the darkness! Hey guys, hope you’re all doing well.